The British division of the European Breeders’ Fund has supported horseracing in mainland Britain by enhancing prize money for over 30 years. The Fund has contributed over £31.5million in to the sport since 1983 and has a current investment level of around £1.7million per year over both flat and National Hunt racing making the BEBF the third largest sponsor of horseracing in the country. Nick Rust, Chief Executive of the British Horseracing Authority (BHA). The British EBF support a number of high value Fillies’ Handicaps across the season from Class 4 to Class 2; the majority being run well above minimum value and match-funded between the EBF and the racecourses. 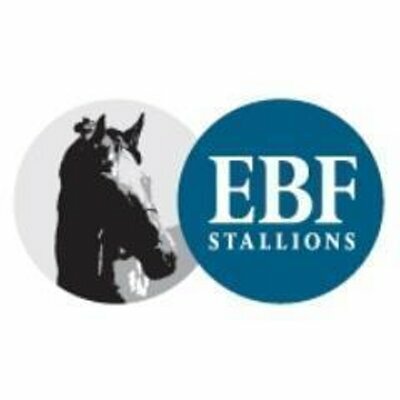 As part of the British EBF’s continuing support of the staying program, a series of two-year-old maiden and novice races for progeny of longer distance stallions was instigated in 2015 and developed between the BHA and British EBF. In 2018, the races were opened up to not only the progeny of staying bred stallions but mares’ that had won over a longer distance. All races are run with a minimum total prize fund of £10,000, with several exceeding this, being worth up to £25,000. The races are split in to two categories: those restricted to progeny of stallions or mares that won over 10f or more and a stouter category for progeny of those that won over 12f or more. They offer opportunities later in the season for horses who may be campaigned in staying races later in their careers. They were created in 2015 in response to a review by the BHA Flat Racing Committee highlighting a lack of opportunities for juvenile staying types and to help meet a goal of further enhancing the stayers programme. The 2019 series comprises 17 races following the growing success of these contests; in 2018 we had the first ever division of a Sire/ Dam Restricted race at Nottingham. Previous graduates of these races include: four-time Gr.1 winner CRACKSMAN, Weatherby’s Stayers Millions winner STRADIVARIUS and Prix Jean-Luc Lagardere (Gr.1) winner ROYAL MARINE. The British EBF is committed to a comprehensive programme of National Hunt racing. The centre piece of this commitment is the Novice Hurdle Series which carries a total prize fund of £350,000 and culminates in a £75,000 Grade 3 final at Sandown Park. We also work in conjunction with the Thoroughbred Breeders’ Association to support a number of National Hunt mares’ only race series (Hurdle, Chase and NH Flat Race). Formerly Stud Director of Juddmonte Farms; Philip chairs both the board of trustees and the British EBF flat race planning committee. Philip is also a board member and consultant to the National Stud in Newmarket. Sam Bullard is Director of Darley Stallions for Godolphin Management Co Ltd having joined the company in 2001. Sam’s career in the thoroughbred industry started as an assistant trainer in Newmarket after four years in the Household Cavalry. He gained further experience in Kentucky and Santa Anita, California before returning to work in the UK at The National Stud. Sam has run his own successful bloodstock consultancy and been a keen amateur jockey with 40 winners in point to points and under rules. In addition to his responsibilities at Darley Stallions and the British EBF, he is past Chairman and remains on the Board of Fakenham Racecourse and the Thoroughbred Breeders’ Association and is a trustee of World Horse Welfare. Fiona bred her first flat thoroughbred in 1999. Since then horses such as: Mary Read, Tiana, Beat The Bank, Kachy, Dubai Hills and Ptolemaic have all been the product of Denniff Farms; all except Ptolemaic are from the same extended family of Hill Welcome, who was one of two mares Fiona purchased in 2001. Fiona is a TBA Regional Representative, part of the TBA Small Breeders Group and the TBA Flat Committee. She was part of the original committee that organised the inaugural Leger Legends race at Doncaster, and is now part of the Racing Welfare Charity Committee that organise the Clocktower Cup for Stable Staff at Doncaster. James was appointed as head of Weatherbys Bloodstock in December 2016. He was founder, and director, of Progeny Stallions Ltd, and has held a number of senior management positions working with high profile clients within the industry. He has extensive bloodstock knowledge, gaming and betting industry experience, was the top ranked management trainee in 2009 on the Darley Flying Start Programme and Assistant Trainer to Ian Williams. Responsible for the running of the management of the TBA charity, its finances and staff. Representing the TBA in political negotiations; providing support and briefings to the Chairman, Deputy Chairman, Board members and Veterinary adviser; Director of the Weatherbys’ General Stud Book Board, Director of the Thoroughbred Owner & Breeder magazine and member of the Editorial Committee; TBA representative on the Horsemen’s Group, British Horse Industry Confederation and EFTBA. In 1981 Simon was initially employed to work at Prince Khalid’s foundation farm Wargrave (formerly and now known as Cayton Park Stud). In 1987 Simon relocated to Newmarket and was promoted to Stud Manager, to help set up the newly purchased Banstead Manor Stud. In 2016 Simon was appointed Stud Director of Juddmonte’s UK farms. Simon holds board roles with the Newmarket Stud Farmers Association (NSFA), Thoroughbred Breeders’ Association (TBA) Veterinary Committee and European Breeders Fund (EBF). Chris has been Managing Director of the Thompson’s Cheveley Park Stud since 1987 following work in France and the USA, including for the Niarchos family at the Haras de Fresnay Le Buffard in France, where he looked after the stallions including the great Nureyev. Chris then managed Spring Oak Farm in Lexington Kentucky for 6 years, before returning to England to join Cheveley Park Stud. Julian Richmond-Watson currently serves as Chairman of The Thoroughbred Breeders’ Association. His previous roles include Chairman of Newmarket Racecourses, Senior Steward of The Jockey Club, Chairman of BHB Race Planning Committee, Member of the BHB Board, Chairman of the Epsom Race Committee, Director of United Racecourses, and Non-Executive Director of Pure Gym Ltd.
Richmond-Watson owns a stud farm in Northamptonshire and has bred a number of winners including Look Here, the 2008 Epsom Oaks winner. Simon took up the lease on Overbury Stud in 2000 which coincided with the opportunity to stand Kayf Tara and the launch of Overbury Stallions Ltd. In the early 1990s he spent four seasons at Warren Place as Assistant to Sir Henry Cecil – years that included Bosra Sham’s 1,000 Guineas win. This was followed by a year in New York overseeing Bobby Frankel’s string and a further three years with Luca Cumani. We are delighted to have forged associations with the following British racing industry organisations and charities. Click on the logos for more information on each of our partners.